This week’s project is fun and creative for kids! We are using embroidery thread and glue to make abstract art patterns. 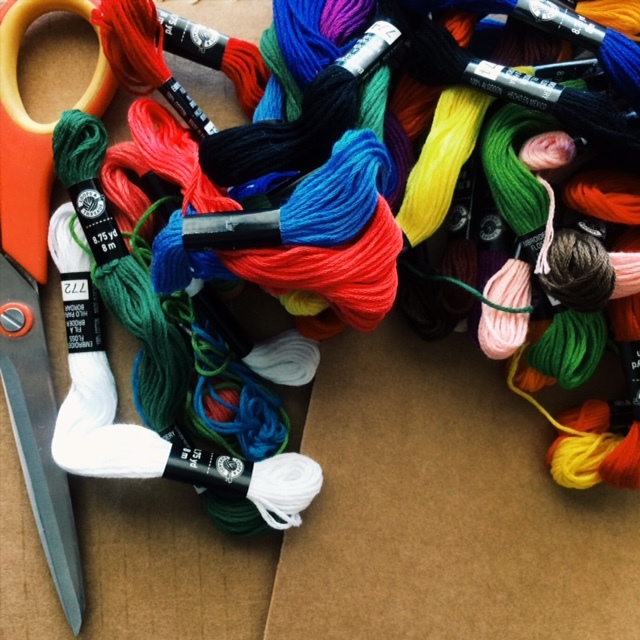 Embroidery thread or “floss” is very inexpensive and comes in many colors like these. 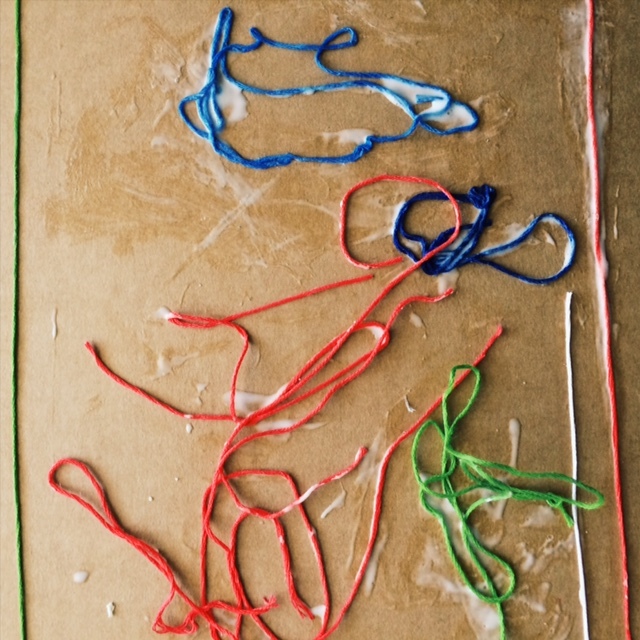 This simple project can help children be abstract, explore with color, and develop fine motor skills. So how to enjoy art with embroidery thread? First cut some strips of different sizes and colors for the project, have older children cut their own as they choose colors. Next, encourage your children to get a little messy and dip their embroidery thread right into a small container of white glue. 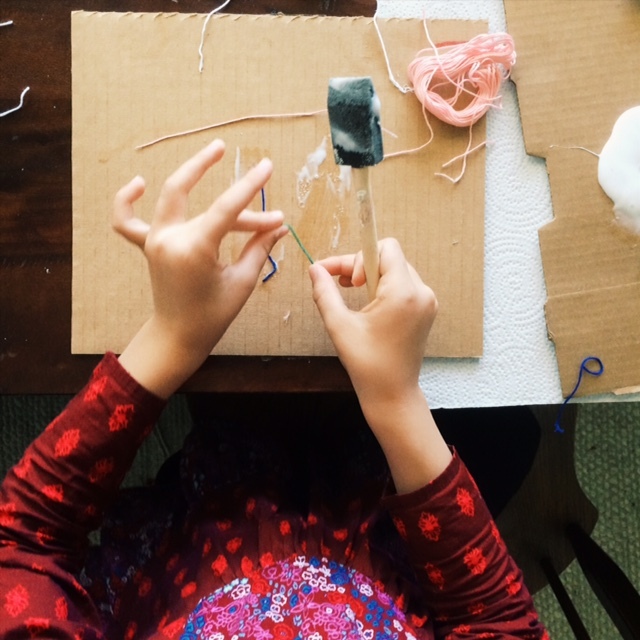 For this project, we poured a bit of glue on cardboard so that the kids could get their entire piece of thread dredged into the glue. 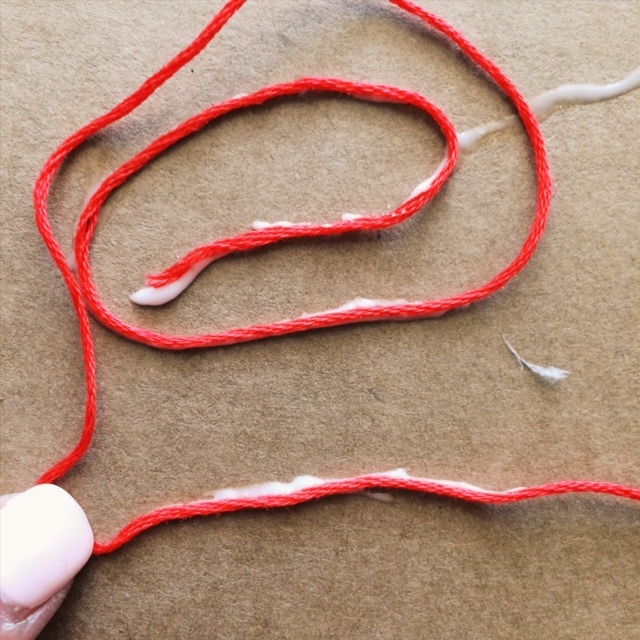 When the embroidery thread is wet with glue, encourage your child to create a pattern, swirl or picture with the string on a piece of cardstock or cardboard. Using fine motor skills kids can focus on twisting and bending their thread into patterns, shapes or a composite abstract piece of art. 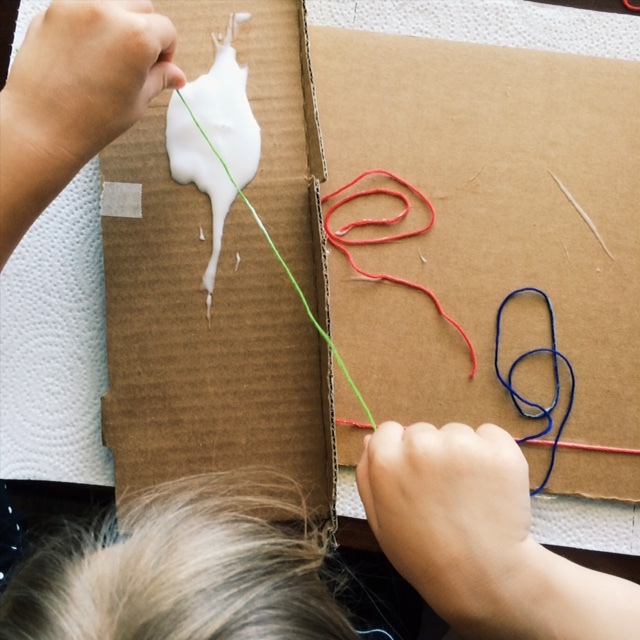 After everything is set in place, have your child paint over the thread with a paintbrush or sponge brush dipped in glue to seal their art in place. Let the art dry for several hours and when it is dry you’ll notice that the entire piece will be hardened! The hardened thread is a really neat art piece that will last for a long time. 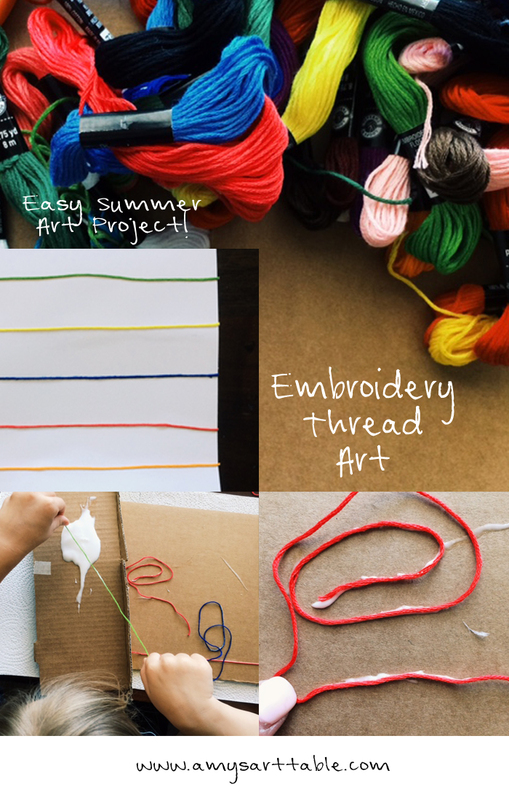 You can take this project further with older kids by incorporating fabric into the art piece. You can attach a piece of fabric over a piece of wood with a staple gun and then let your child practice tracing designs with the embroidery thread that are found in the fabric print. This project is fun, colorful and uses inexpensive materials. 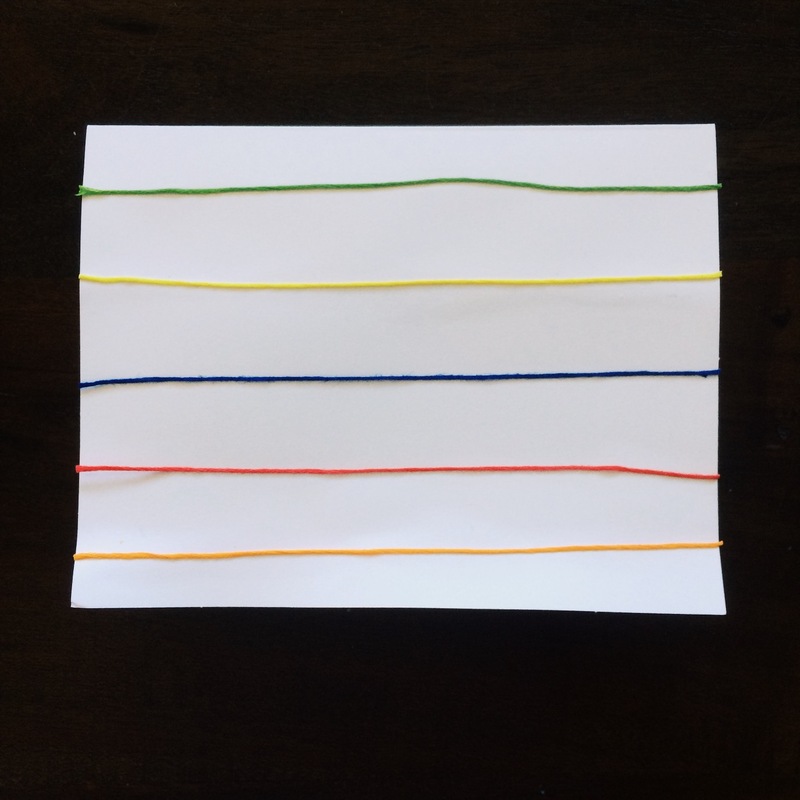 Embroidery thread is a great medium to explore color and dexterity with, give this simple project a try at home with your kids this weekend! Check back for more fun art projects throughout the Summer and check out Amy’s Art Table Youtube art lessons!